Culture . Attractions . Activities . Africa . 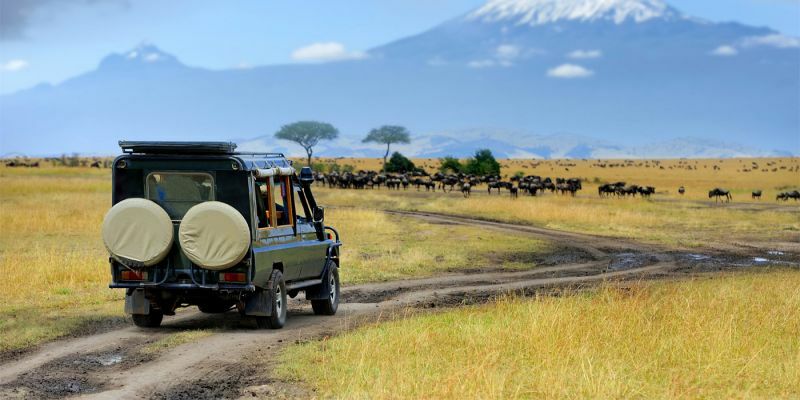 Though it’s often overlooked in favor of nearby (admittedly spectacular) Serengeti and Ngorogoro National Parks, Tarangire is well worth visiting for at least a full day, and ideally longer. Here you’ll find vast herds of elephants and majestic baobab trees dotting the plains on either side of the Tarangire River. 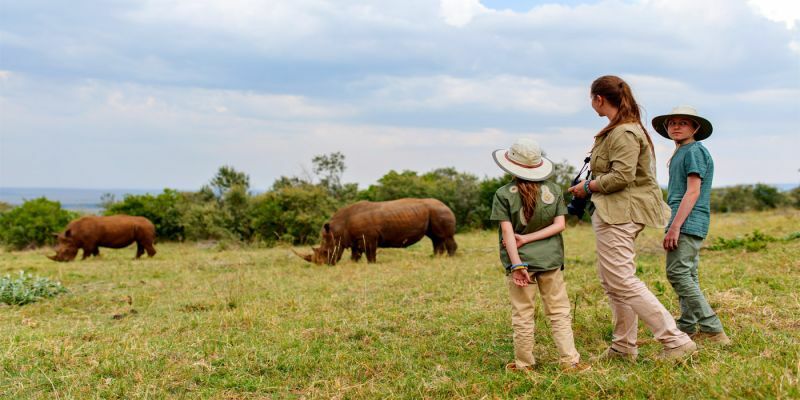 Take a walking safari and look out for wildebeests, zebra, and lions in addition to elephants, or go on a nighttime game drive for viewing opportunities and added adventure. The park also contains some intriguing swamps, where you can watch animals stopping in for a drink (and braving the potential for predators lurking). Once an active volcano, the Ngorogoro Crater is now an extraordinary landscape packed with animals. High concentrations of lions and other predators prowl here, and the wildlife views are simply phenomenal. Plan to spend a full day touring the crater and consider also paying a visit to the Oldupai Gorge, close to Ngorogoro’s western rim. This long ravine is an important archaeological site with much to teach us about early human history. Fossils from dozens of early hominids have been found here, and a small museum is on the site. Whichever animals you’re hoping to see, you have an excellent chance of finding them here in the famed Serengeti National Park. Lions, cheetahs, leopards, elephants, wildebeest, buffalo, zebra, black rhinos, hippos, crocodiles, and several hundred bird species: This diverse area is famous for a reason. 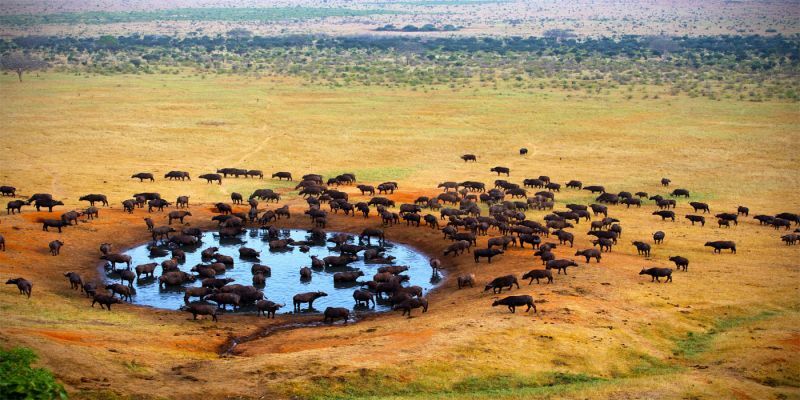 Take a balloon safari to appreciate the Serengeti’s vast expanse and large animal populations. Schedule at least two or three days here and go on multiple drives to explore the many different corners of this park. 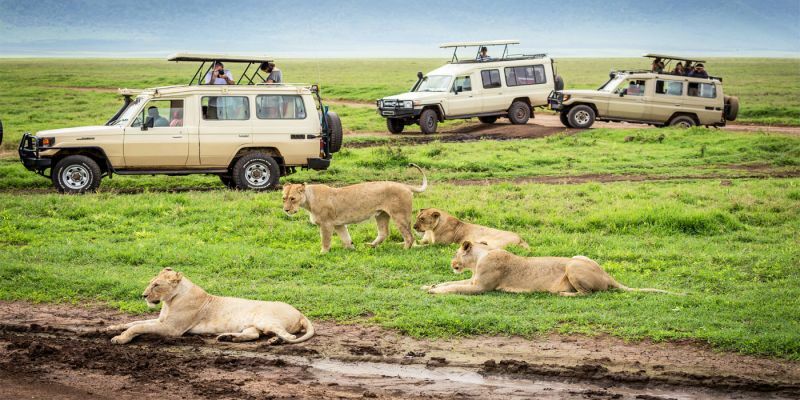 Though relatively small compared to some of Tanzania’s other national parks, Lake Manyara boasts dramatic scenery thanks to the Rift Valley Escarpment, as well as impressive variety in landscape and ecosystem. 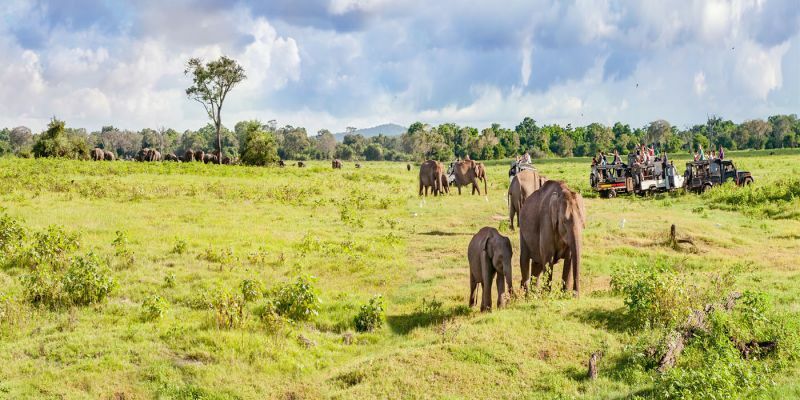 The park has everything from marshes to evergreen forests, and it houses elephants, lions (famous for their tree-climbing proclivities), baboons, blue monkeys, hippos, and numerous bird species. There’s even a treetop walkway that brings you up into the canopy for a birds-eye view. 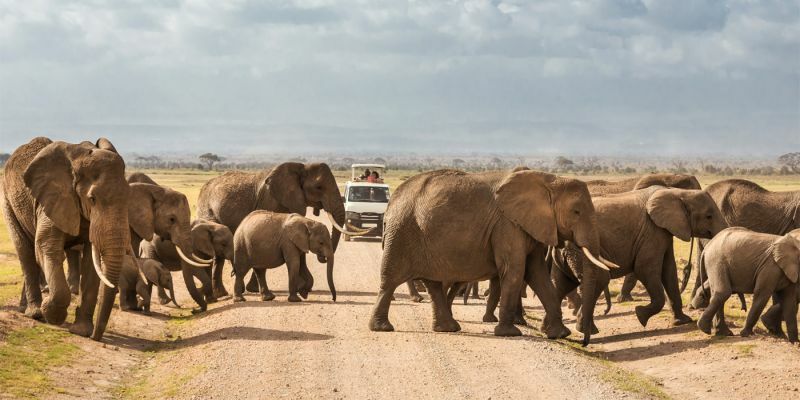 If you dream of seeing large elephant herds silhouetted against the backdrop of Mount Kilimanjaro, then a visit to Amboseli National Park in Kenya is a must. Africa’s tallest and most famous peak looms over the park, sometimes shrouded in clouds, but often clearly visible. Sightings of large mammals like elephants, wildebeest, and zebras are extremely common, and you may also spot cheetahs, lions, and hyenas. Avid birdwatchers also love Amboseli, which contains well over 300 bird species. Birdwatching in the park is generally best from November to March, when migratory birds make an appearance. Ensconced in the Rift Valley, this stunning park offers the chance to see rare animals like Rothschild’s giraffes and black and white rhinos, in addition to leopards, lions, warthogs, and baboons. And once again, you’ll encounter all these animals amidst gorgeous natural landscapes: Acacia trees, rock formations, and of course the immense blue lake itself. Samburu is home to a unique combination of rare and endangered animals: The Somali ostrich, Grevy’s zebra, the gerenuk (a long-necked antelope), the reticulated giraffe, and the beisa oryx. 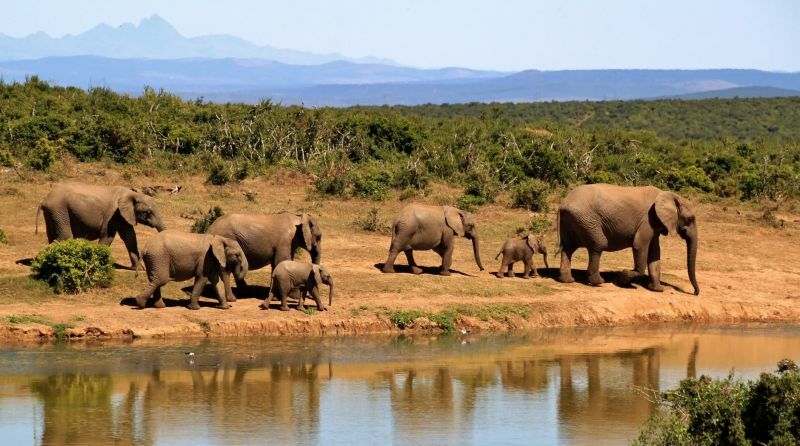 With so much unusual and distinctive wildlife to see, this reserve is sure to make for one of the most memorable days of your safari. Another bonus? Crowds are generally much smaller here than in other, better-known parks, leading to a more tranquil experience. This world-renowned wildlife reserve lives up to its reputation. Its grasslands seem to stretch on forever in every direction. Time your trip between July and October to catch a glimpse of the Great Migration, during which around a million wildebeest, in addition to other animals like zebras and topis, travel long distances to greener pastures. You can observe a wide variety of animals here, from herbivores—gazelles, impalas, giraffes, elephants, wildebeest, zebras, elands, rhinos, waterbucks, and more—to predators—lions, cheetahs, leopards, hyenas, jackals, foxes, and caracals. Allow at least a couple days here to take multiple game drives and enjoy what this park has to offer. Africa is the hometown of nature where you can see the wild life and walking among wild animals like: Lions and Tigers. 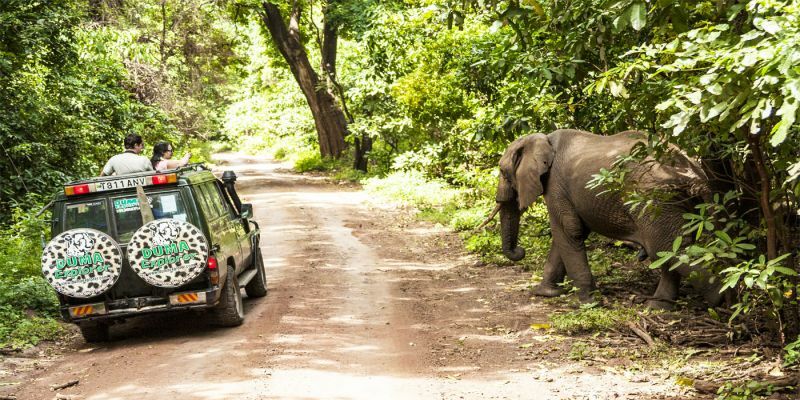 Discover Africa through one of our Africa Safari Packages.